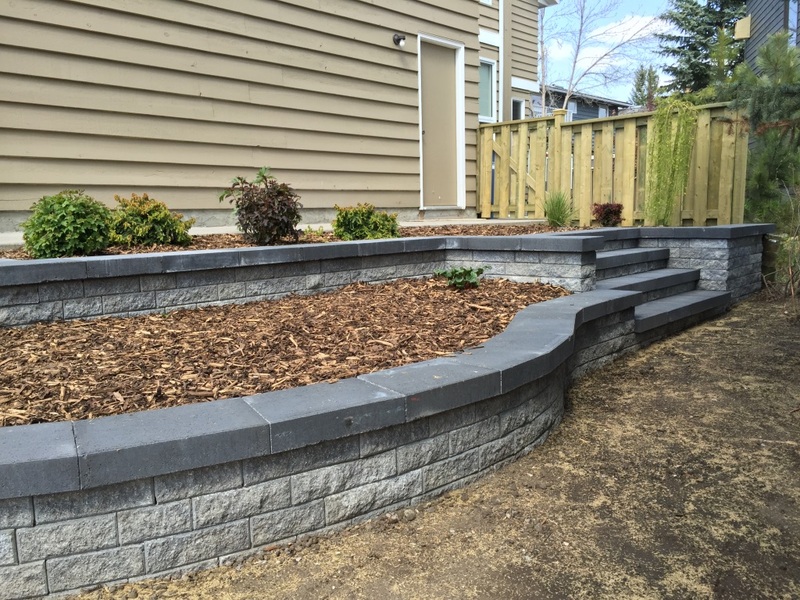 We specialize in building strong and lasting retaining walls. 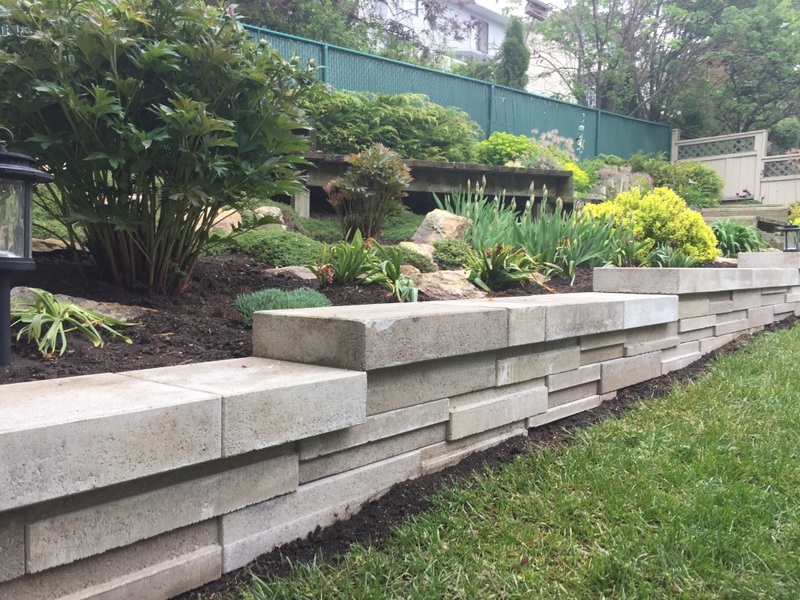 From small garden walls to large supporting walls. 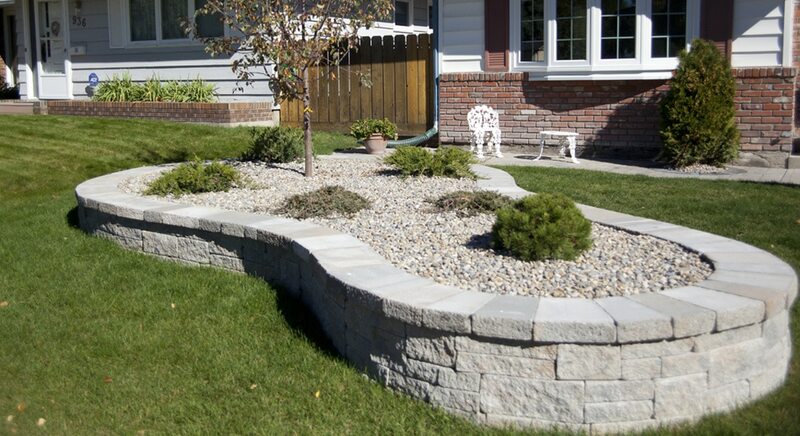 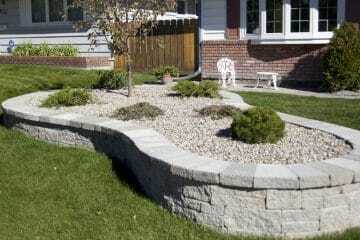 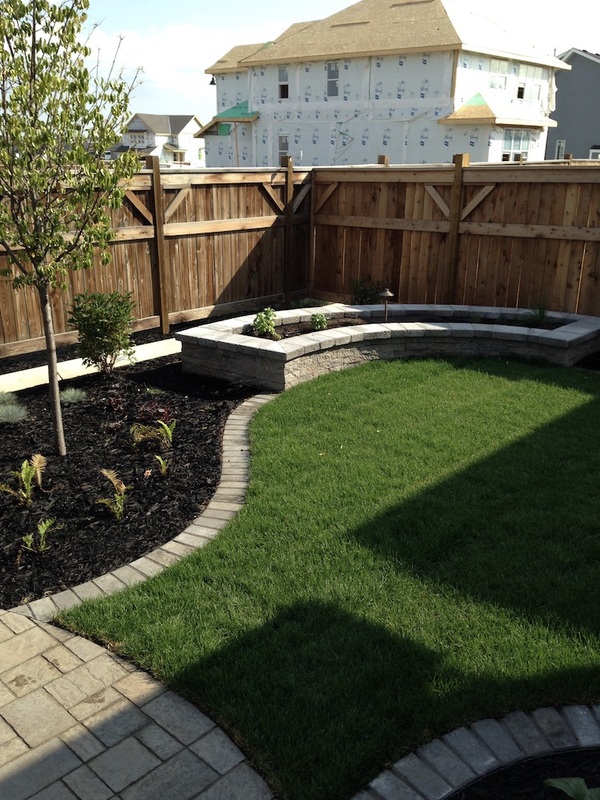 A well built retaining wall is very important to your landscaping. 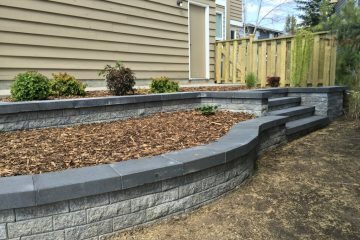 Poorly designed or installed retaining walls can break down over time and cause major issues with other areas of your landscaping. 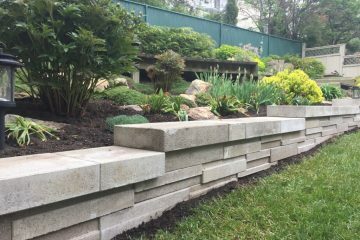 We install retaining walls using precast stone, natural stack stone, natural boulders, concrete, pressure treated or cedar wood. 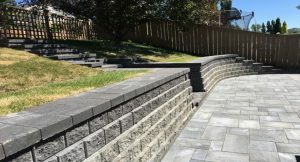 Costs can vary greatly for retaining walls depending on what type of material you plan to use and what height and length your retaining wall will be. 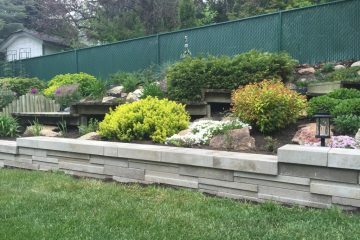 We always recommend precast or natural stone retaining walls over pressure treated or cedar wood retaining walls because the stone will withstand the elements far better than wood. 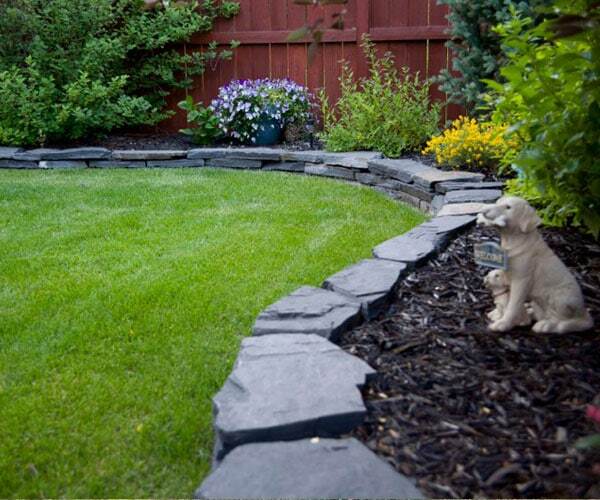 As well, stone is typically heavier than wood so your wall will be less likely to heave in the future. 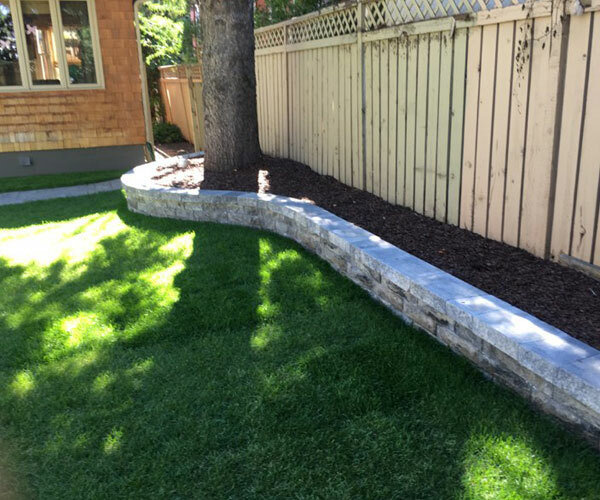 Wood retaining walls have a tendency to sag, warp or bow. 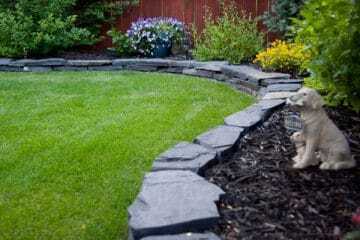 Simple garden walls can be built using wood but try to use stone for walls that require more strength. 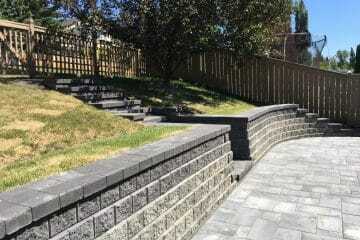 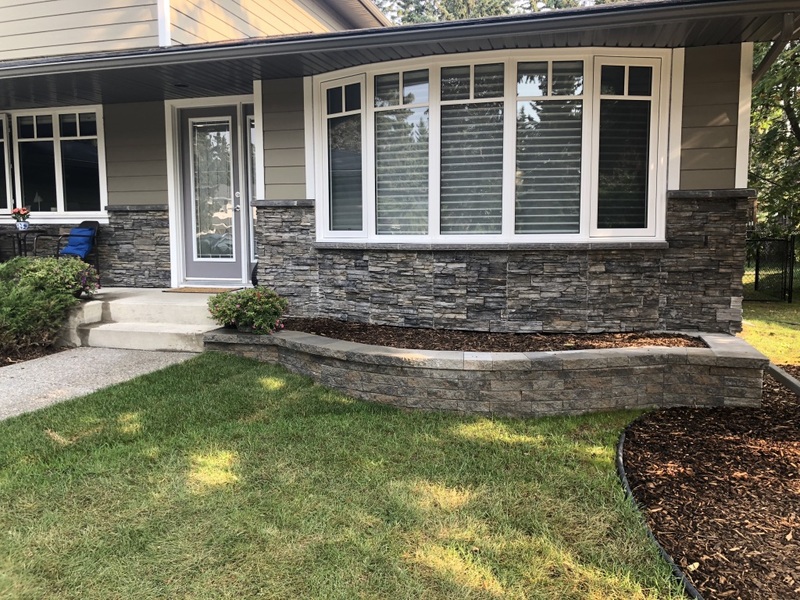 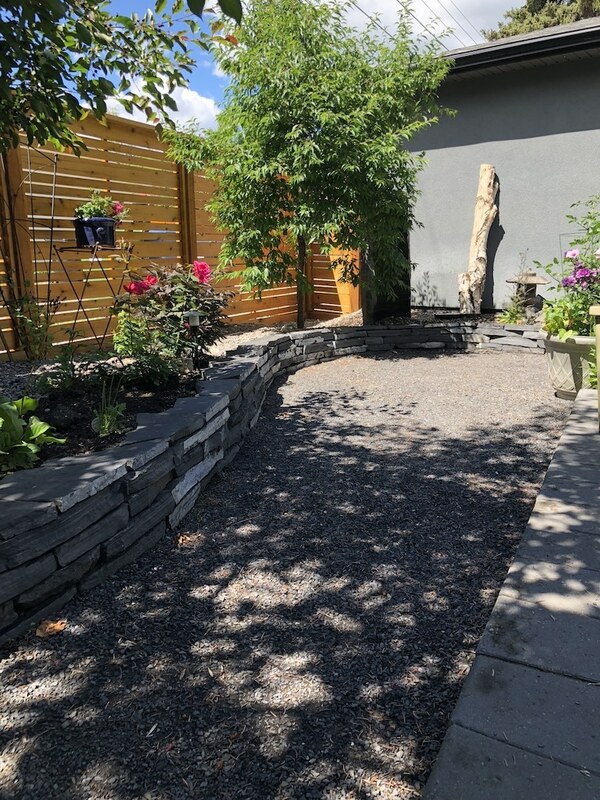 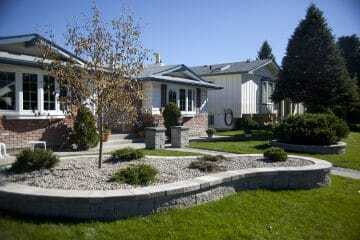 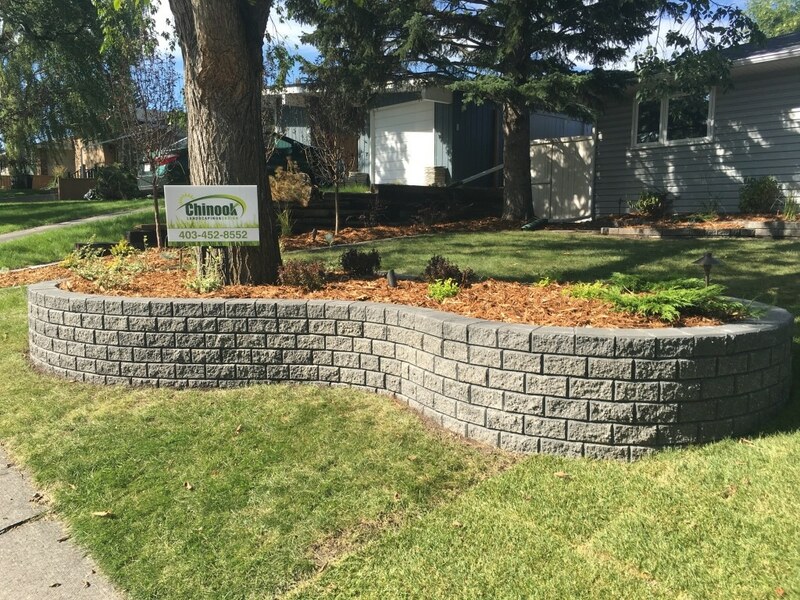 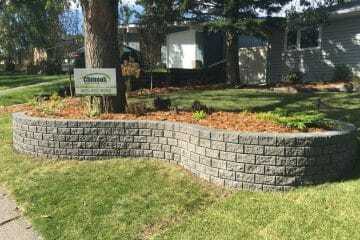 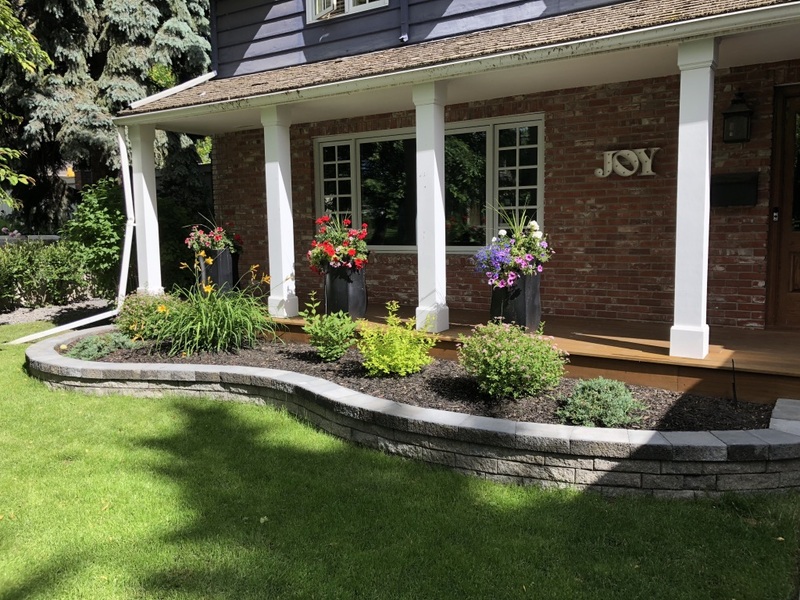 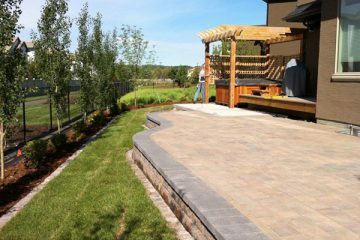 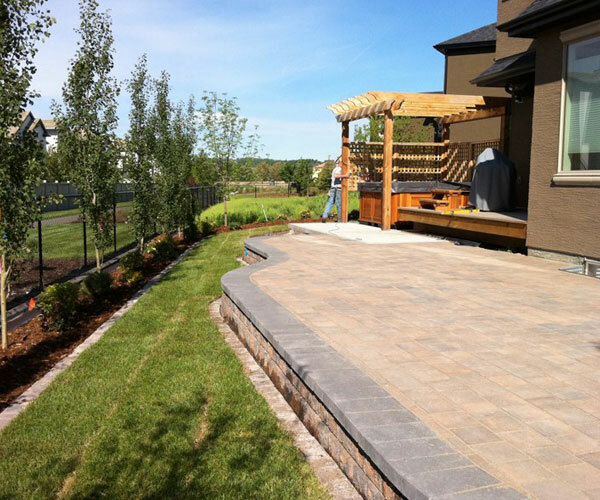 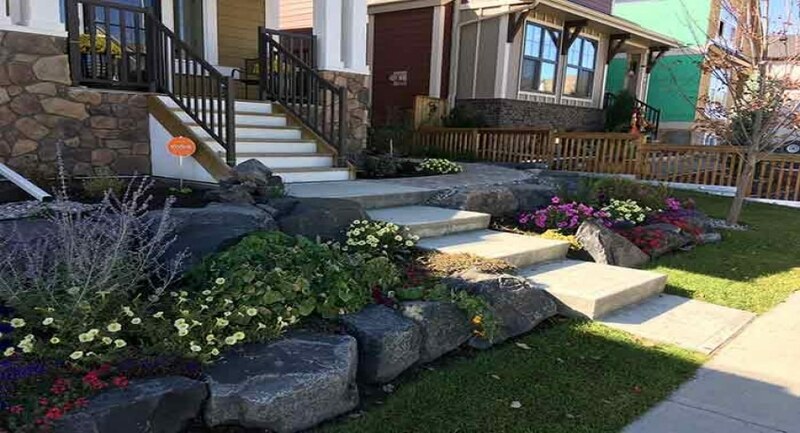 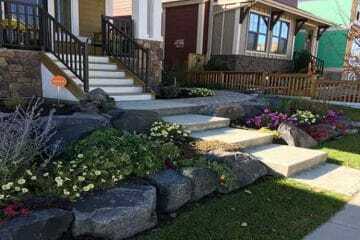 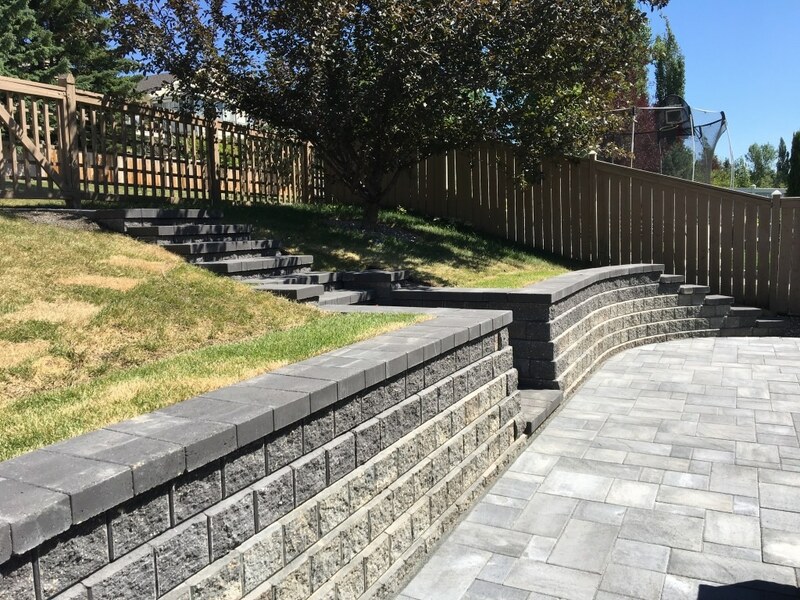 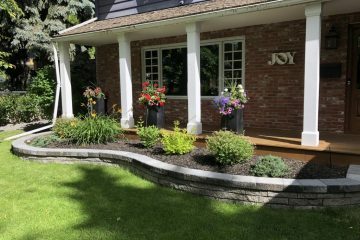 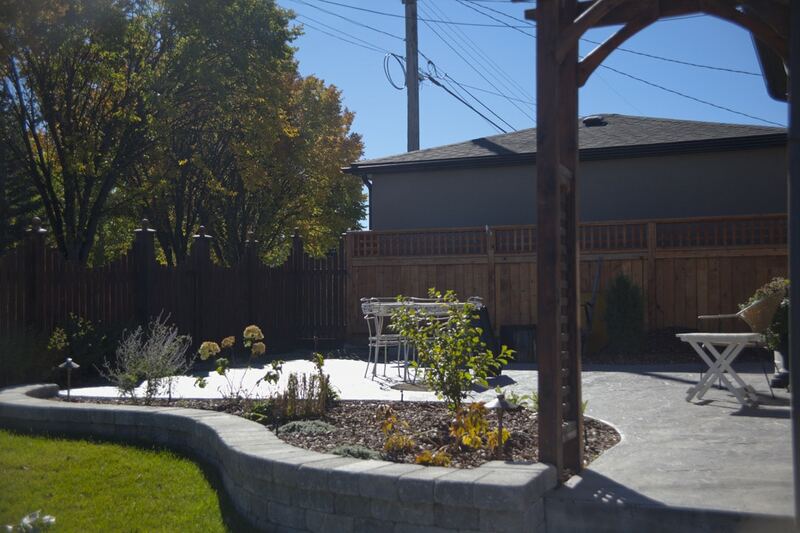 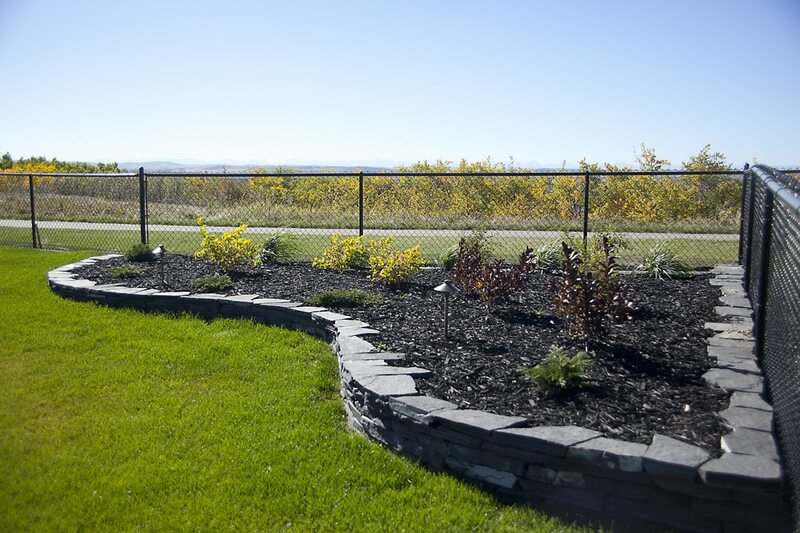 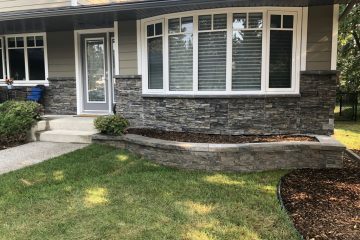 Natural stone walls are fast becoming our most popular retaining wall because our clients love the look of natural stone and they can withstand Calgary’s ever-changing climate. 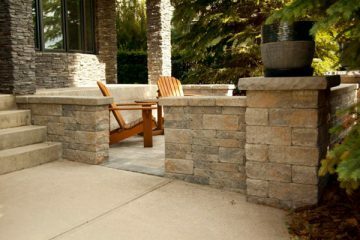 Natural stone is more costly than wood but it will last much longer and will not need replacing for many, many years to come. 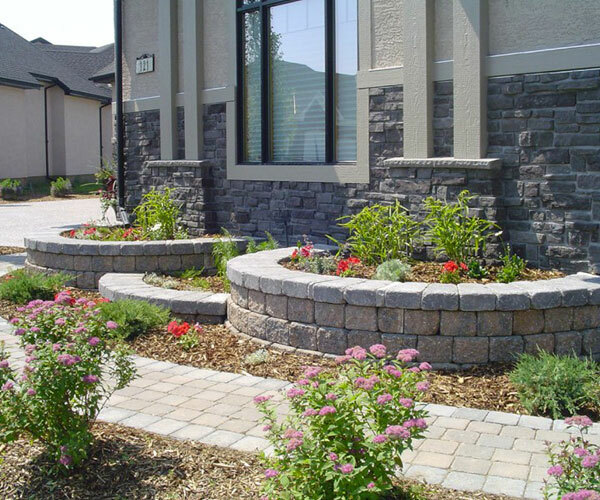 Natural stone walls can be built from thinner ledge stone or large boulders and they retain as well as precast stone. 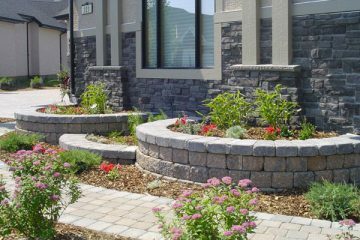 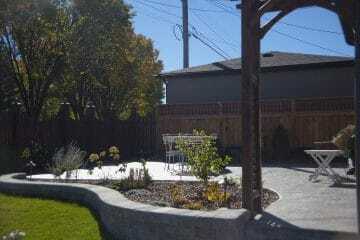 We use natural stone walls and natural stone landscaping for feature areas and cozy garden spaces. 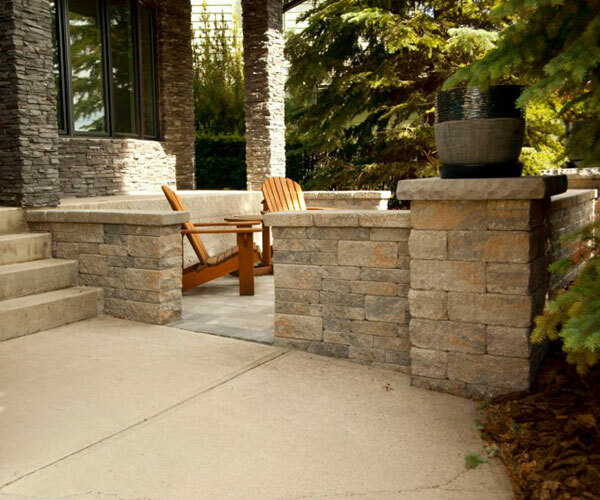 Natural stone looks great even when it is placed next to concrete patios and walkways. 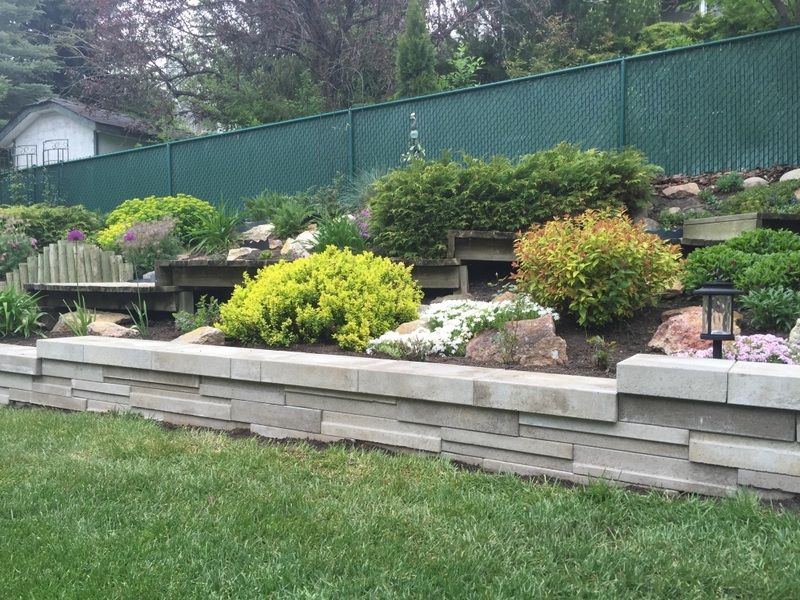 Cedar or pressure treated retaining walls can be a good choice for some landscaping applications. 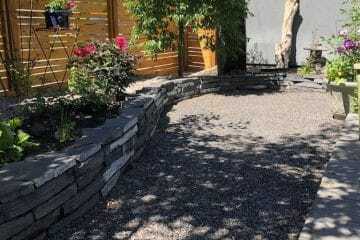 This option is typically your least expensive retaining wall option. 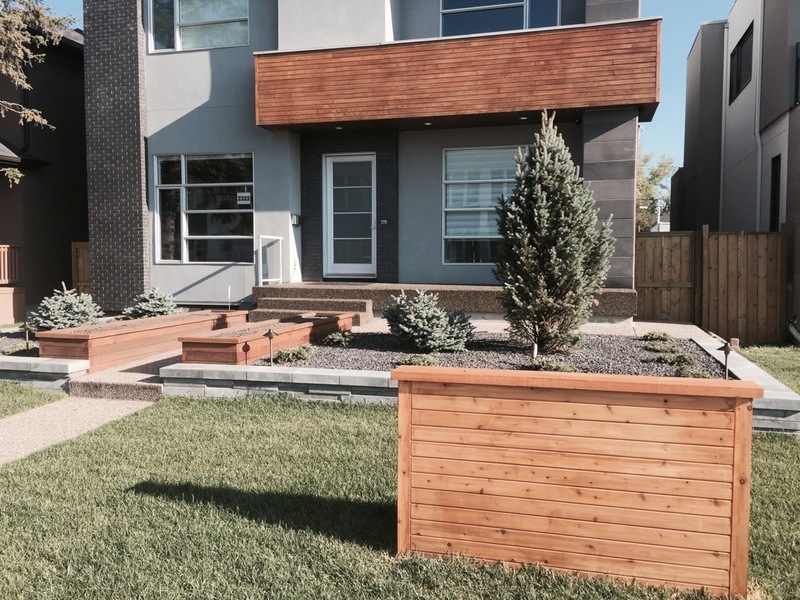 Cedar is best used for garden retainers or planter boxes because they do not contain any chemicals. 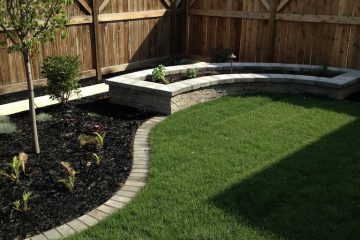 If you are planning a raised vegetable garden it is best to use cedar instead of pressure treated. 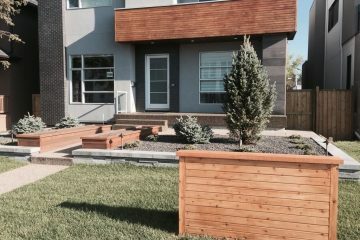 We use cedar when customers insist on wood for their retaining walls. 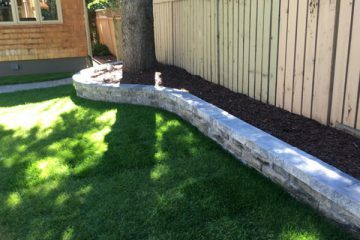 Over time any wood retaining wall is not likely going to outlast precast or natural retaining walls.